Lancashire County Council's gritting teams are working around the clock to keep the county moving. All the priority routes were treated a number of times on Tuesday before the band of wintry weather arrived, and crews have since been working non-stop to deal with ice and snow, and keep the main routes open. The gritters have been busy again today (Wednesday), with the second priority routes being treated in the worst-hit areas of East Lancashire. Gritting teams are on duty again this evening and overnight to treat the priority routes as required. They will also be on duty tomorrow morning to treat secondary routes and footpaths where necessary, as long as the main routes are clear. The Met Office has issued a yellow weather warning for ice overnight. Wintry showers are forecast to continue through the evening before dying out later in the night, with the risk of ice from the showers and as the snow melts. County Coun. Keith Iddon, cabinet member for highways and transport, said: "Our gritting crews have been very busy over recent days. "The worst of the snow has passed for now, but there remains the risk of ice as temperatures are due to stay low over the coming days. "There have been difficulties on some roads due to the snow, despite all our efforts - people still need to be extra careful due to the continuing risk of ice, particularly on untreated roads. "Some of our local roads in the south of the county were also affected earlier today by major disruption on the M6 southbound, which meant traffic taking local routes which increased traffic congestion and slowed our gritting operations. "We do everything we can to keep traffic moving on priority roads and we are open about the fact we cannot grit every road in Lancashire. Even if we had the resources needed we couldn't grit them quickly enough to make a real difference. "No council does this and its important people understand there are limitations to the service we can provide. Even roads which have been gritted can remain icy and everyone needs to drive according to the conditions. "I'd also ask everyone to think about how they park to make sure there's room for a gritter to get past." For further information and advice visit www.lancashire.gov.uk/winter. 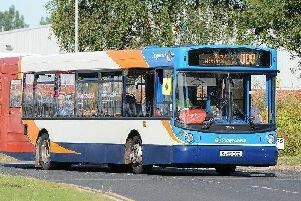 Follow us on Twitter for news and updates at www.twitter.com/lancashirecc or Facebook www.facebook.com/lancashirecc. District councils in Burnley, Hyndburn, and Ribble Valley have also been treating the pavements today.